I love this NEW leather bracelet! 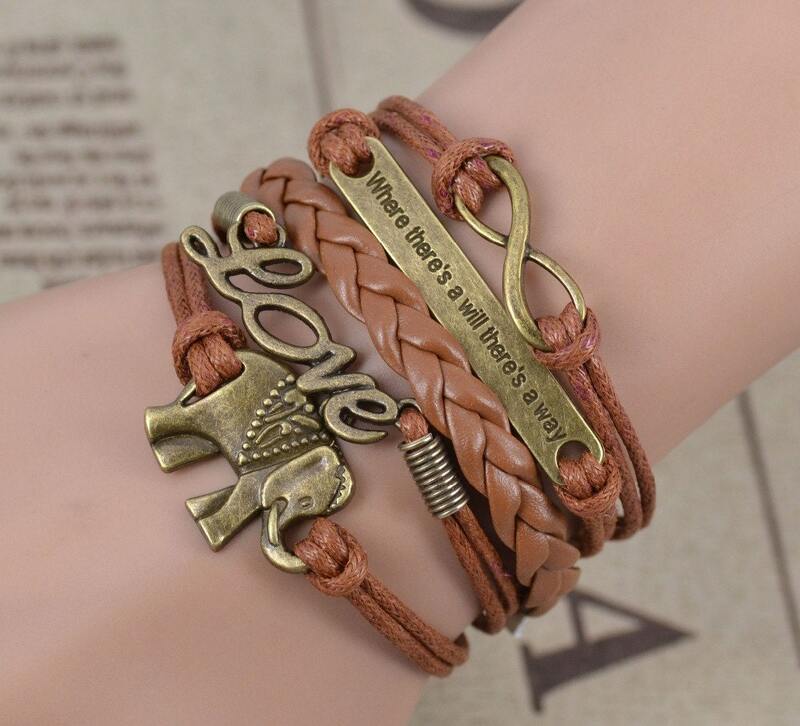 It has brown leather with five strands of leather and charms as seen in all the pictures. SIZE: What I love about these bracelets is that they're completely Adjustable with a lobster clasp. Measures from top to bottom 9.25 inches which allows for many for adjustable fits, from loose or snug.